A perfect gift for yourself or your favorite sports fan! 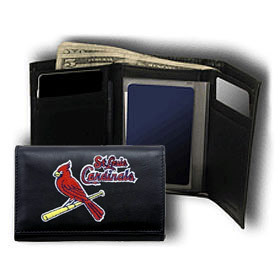 The team’s logo is embroidered onto the front of the wallet. The wallet is made of genuine leather and will last for years! Inside you’ll find a compartment for cash, 6 slots for cards, a slot for your drivers license, 3 inner compartments, and a removable plastic 4 sleeve picture/ID holder. Made by Rico.